Everyone experiences a little bit of indigestion from time to time. It could be caused by a bad burrito, or it might be a symptom of pregnancy. Whatever causes your indigestion, it’s important to realize that there are a number of natural remedies for indigestion available today. It’s not that anti-indigestion and anti-nausea medications aren’t good for you, but in some cases you’ll want to avoid them. For example, a pregnant woman should be very careful about what she takes to treat nausea and indigestion as some medications can cause problems for her and her baby. Treating indigestion with medication can lead to the masking of serious underlying conditions, which can create a number of overall health risks. Recognize that indigestion can be related to stress. Pay attention to your stress levels, which also impact your eating habits. If you believe your indigestion is stress related, make some lifestyle choices that help to deal with stress such as exercise, meditation or yoga. Try some peppermint tea. 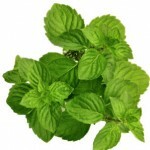 Peppermint is known to help settle the stomach and help with nausea. Be careful, here; if you’re prone to heartburn, peppermint can relax the esophageal sphincter and cause additional reflux. Use ginger. Ginger is one of the best ways to relieve nausea and indigestion. 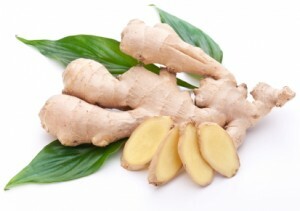 You can consume it as a tea, ginger candies, capsules and even ginger soda (just make sure it actually contains ginger). Consider probiotics. Probiotics are the type of helpful bacteria that are normally found in your body’s digestive tract. Lactobacillus is one of the most common probiotics, and you can often find it in yogurt and other cultured milk products. Give herbs a try. There are a number of herbs like artichoke leaf extract that are thought to help with digestion. 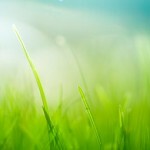 They can increase the flow of bile in your digestive tract, helping your body to digest fats. Indigestion can be more than just a minor inconvenience. When it’s accompanied by nausea, it can even be debilitating. Give some of these natural remedies for indigestion a try today and see what works for you.